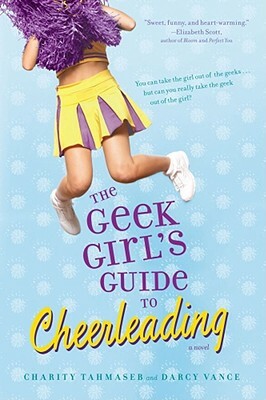 When self-proclaimed geek girl Bethany Reynolds becomes the newest member of the varsity cheerleading squad, she realizes that there's one thing worse than blending into the lockers: getting noticed. Who knew cheerleading was so hard? Well, at least there's a manual, The Prairie Stone High Varsity Cheerleading Guide. Too bad it doesn't cover any of the really tough questions. Like, how do you maintain some semblance of dignity while wearing an insanely short skirt? What do you do when the head cheerleader spills her beer on you at your first in-crowd party? And how do you protect your best friend from the biggest player in the senior class? Bethany is going to need all her geek brainpower just to survive the season!